Religious leaders on official business in part of north London will be able to park for free using special permits. The scheme, introduced by Barnet Council, will allow holders who have bought the passes to park in residents' parking bays. The scheme is open to applicants of all faiths including Baha'i, Buddhism, Christianity, Hinduism, Islam, Jainism and Rastafarianism. Applications from worshippers on faith business will also be considered. 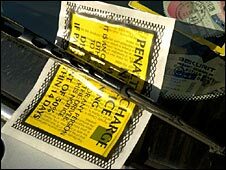 It will cost £40 a year for the first permit and £70 for the second or third. Mike Freer, leader of the council, said: "The importance of religion to many Barnet residents cannot be underestimated and the council has acknowledged this with a policy that will assist spiritual leaders when engaging with people in times of illness or crisis."